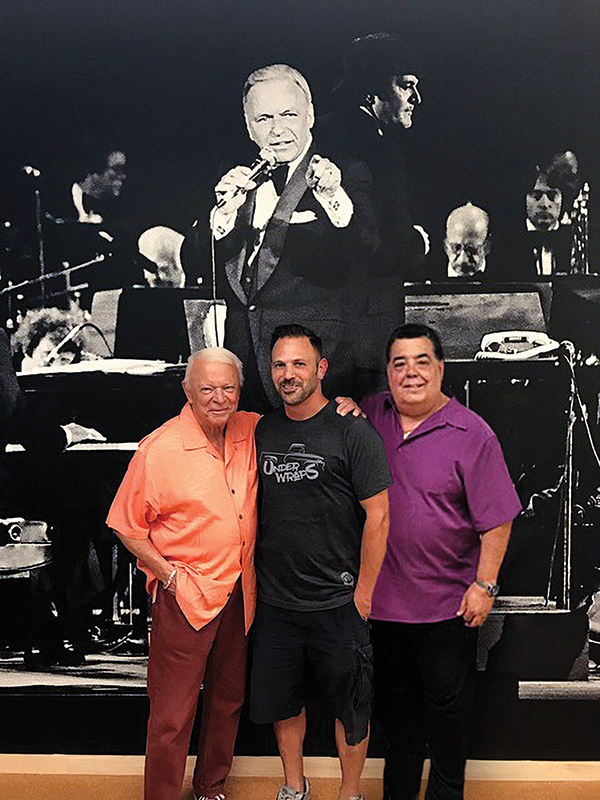 Jerry Sharell, his son Jeff and Vice President Rick Baptist in front of the Frank Sinatra mural at AFM Local 47. One fateful night in 1980, AFM Local 47 member Jerry Sharell jumped on a once-in-a-lifetime opportunity thanks to his friend, Nancy Sinatra. 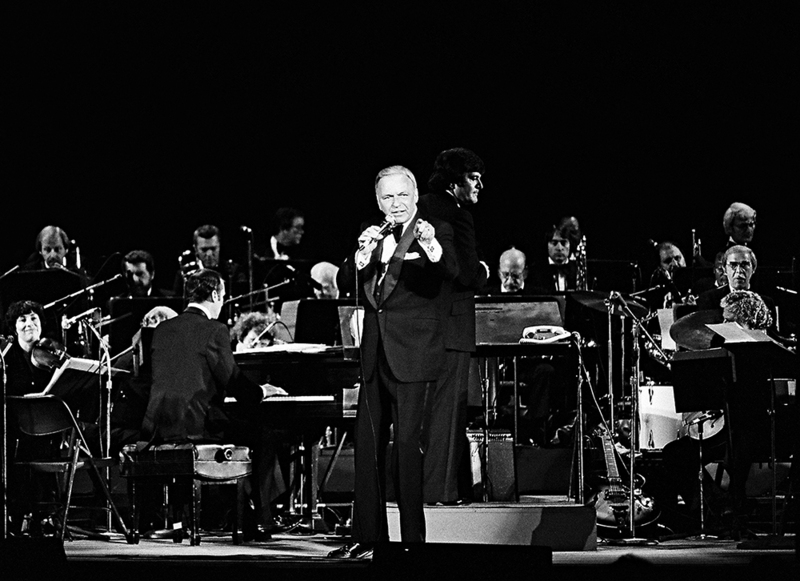 The daughter of legendary “Rat Pack” performer Frank Sinatra invited Sharell to her father’s concert at Los Angeles’ Universal Amphitheater, where he performed with full orchestra. With his camera in tow, that night Sharell shot four rolls of film, very few photos from which have ever been seen by the public thanks to a promise to the family he made to never sell the images. Out of respect for the family, Sharell waited about 20 years before he started donating some to various charities. One particular photo, blown up to 13-by-16-foot mural size, now greets all who enter our AFM Local 47 headquarters in Burbank. Installed with the help of Sharrell’s son Jeff, who works at Underwraps Inc., visitors to the union see Ol’ Blue Eyes himself. “I took one look at it and started to cry,” Sharell said. Thank you for brightening up our offices, Jerry! This entry was posted in All News, Features and tagged Frank Sinatra, Jerry Sharell, mural on April 8, 2019 by admin.